The Democratic Alliance (DA), previously named the Democratic Party (DP), was formed on 8 April 1989, when the former Progressive Federal Party, Independent Party and National Democratic Movement merged. Under the combined leadership of Zach de Beer, Denis Worrall and Wynand Malan, the DP won 36 seats in Parliament in the general election of September that year. However, the history of the DP goes back to 1959 when a number of liberal members of the United Party (UP) broke away to form the Progressive Party (PP). The cause of the split was the UP's inability to find a clear-cut alternative to the National Party's apartheid policy. The PP took a stand on constitutional reform, and called for an entrenched Constitution that incorporated a Bill of Rights. This Bill of Rights would provide for an independent judiciary, and a federal Constitution in which the powers of the provinces would be constitutionally protected. The PP also stood for an economy based upon free enterprise, however it would be 35 years before the members of the Progressive Party saw their ideals realized in South Africa's interim Constitution. In the 1961 election, only Helen Suzman kept her seat in Parliament for the PP. This began one of the great parliamentary performances of all time, as Mrs Suzman sat alone for 13 years, the sole principled opponent of racial discrimination in the whole South African Parliament. She fought against detention without trial, pass laws, influx control, job reservation on grounds of colour, racially separate amenities, the Group Areas Act and forced removals. Suzman demanded trade union rights for Black people and fought for better wages and working conditions. In 1974, six more PP members won seats in Parliament. Soon after this the PP merged with a new breakaway group from the United Party, called the Reform Party, which became the Progressive Reform Party in 1975. In 1977, another group of UP members left the Party to form the Committee for a United Opposition, which then joined the PRP to form the Progressive Federal Party. In 1987, Denis Worrall resigned as the South African ambassador in London and returned to politics. He formed the Independent Movement to fight the 1987 general election, but when Wynand Malan won the only seat in the election, and Mr Malan left the Independent Movement, Mr Worrall formed the Independent Party. Mr Malan, together with others, then formed the National Democratic Movement. The PFP had lost a number of Parliamentary seats in the 1987 election, and in 1988 Zach de Beer became the PFP leader. He continued negotiations which culminated in the IP, NDM and PFP disbanding to form the Democratic Party in April 1989. The National Party government immediately called a general election for September of that year, in which the DP improved its position, while the NP lost seats both to the DP and to the right-wing Conservative Party. This was the turning point for NP leader FW de Klerk, who announced a radical change in government policy on February 2 1990. With the unbanning of the African National Congress (ANC), Pan Africanist Congress (PAC) and other liberation organisations, and the release of Nelson Mandela, the process of negotiating a peaceful solution to South Africa's political impasse began. DP leader Zach de Beer was chosen as the first Management Committee Chairman of CODESA. Both in CODESA and the subsequent Multi-Party Negotiating Process held at the World Trade Centre in Kempton Park, the DP played a vital role in the negotiation of an Interim Constitution, which included most of the principles and ideals around which the PP was formed in 1959. The April 1994 general election was the first in which all South Africans voted together. The ANC recorded a significant victory, with the DP winning only 1, 7% of the vote on the national level. With only 10 Members of Parliament, and under the leadership of Tony Leon, the DP began a new fight: one for the protection of human rights and the extension of federalism and free enterprise in South Africa. In the 1999 General election, the DP vastly improved its influence, and became the official opposition with 9.6% of the votes and 44 seats. In 2000, the DP then reached a merger with Louis Luyt's Federal Alliance, and began talk with the New National Party (NNP). These talks lead to the formation of the Democratic Alliance, which received favourable support in the December 2000 municipal elections. However, the alliance with the NNP soon ended due to disagreement on contentious issues, with the NNP breaking away to merge with the ANC. In the 2004 general elections, the DA gained 12.3 % of the vote, and 50 seats in the National Assembly. The DA was therefore confirmed as the most popular opposition party in these elections, and was the only opposition party to be represented in all 9 provinces. In the 2006 elections, the DA increased its national share of the vote to 16.3 %, and became the largest party in Cape Town. Helen Zille, a DA Member of Parliament, was then elected mayor of Cape Town, and subsequently received the Mayor of the Year Award in 2008. In 2006, former party leader Tony Leon stepped down from leader as the party, and Helen Zille was elected the new leader. 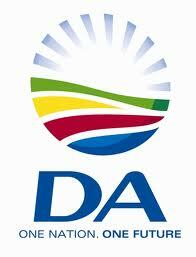 In 2008, the DA was officially re-launched at Constitution Hill, and continued to advocate a policy of non-racialism. In the 2009 general election, the Democratic Alliance experienced an increase in support, winning the outright majority in the Western Cape with 51.5 percent of the provincial vote. The party also won 16.7 percent of the national vote, acquiring 67 seats in the National Assembly. A merger with Patricia de Lille’s Independent Democrats party in 2010 further helped establish the DA’s dominance in the Western Cape. Following this merger, de Lille became executive Mayor of Cape Town. At the same time, Mmusi Maimane’s 2011 campaign for Mayor of Johannesburg furthered the DA’s popularity in that municipality. Representing a rebranding of the DA, Mmusi Maimane was the fresh face in the party that, while losing the election for mayor, went on to lead the Official Opposition of the Johannesburg City Council until 2014. The 2014 general elections continued to pave the DA’s path of becoming the official opposition party in South Africa. With 22.23 percent of the national vote, the party won 22 seats in the National Assembly and, again, won the outright majority in the Western Cape with 53.38 percent. The DA’s rising star, Mmusi Maimane, moved to Cape Town to serve in the National Assembly and was elected as the Leader of the Opposition Party by the DA caucus. In a historic vote, Maimane became the federal leader of the Democratic Alliance in 2015, the first black South African to serve in that position, replacing Helen Zille. Following a shaky start to his leadership, Maimane quickly established himself as leader of the party. The Democratic Alliance was successful in the 2016 municipal elections, growing its support and entering into alliances with other parties in Tshwane, Johannesburg, and Nelson Mandela Bay. While a conflict with the EFF resulted in the DA losing their governance in NMB in 2018, they continue to govern in the other municipalities, constituting a significant defeat for the ANC. Since those elections, the lack of a clear policy, except for the opposition to all of the ANC’s policies, has hindered a continuation of the growth that the DA has experienced in earlier years. In February 2018, the DA’s federal executive terminated Patricia de Lille’s party membership after a controversial radio interview. This followed a series of conflicts between de Lille and the DA, including accusations toward de Lille regarding the misuse of public funds and other party violations. De Lille offered her resignation as Mayor of Cape Town and membership of the DA in October 2018, in order to negotiate a suspension of the investigations. “History,” Democratic Alliance, Accessed March 12, 2019, https://www.da.org.za/why-the-da/history. “Democratic Alliance,” The South African, Accessed March 12, 2019, https://www.thesouthafrican.com/government-politics/democratic-alliance/. “History,” Voteda.org, Accessed March 12, 2019, https://www.voteda.org/why-the-da/history/. Michael Ray, “Democratic Alliance,” Britannica, Accessed March 12, 2019, https://www.britannica.com/topic/Democratic-Alliance-political-party-South-Africa.